Lock in a great price for Cabinas Popular - rated 8.2 by recent guests. 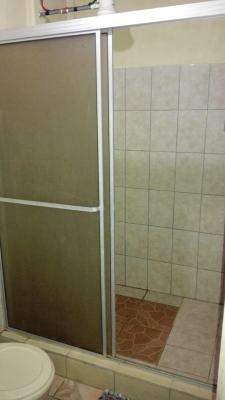 Very spacious room and comfortable bed, fan, and big shower with option for hot water. It’s very quiet at night but still very close to the main road. The owner was kind and helped me stay here even though my card wouldn’t work. Would stay here again!! Instead of paying for a 18 people's dorm and supporting big companies like Selina, stay here, with the locals, you will pay the same price for a big room for yourself here! Fantastic place to stay. 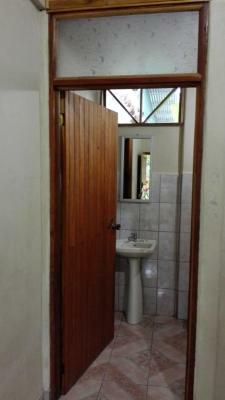 Rooms are very clean, with fan and bathroom (no hot water but a cool shower was so refreshing due to the heat). I even had a TV with international channels. Nice little patio outside the room with table and stools overlooking the garden. WiFi excellent. The staff are lovely from the owners to the cleaner. 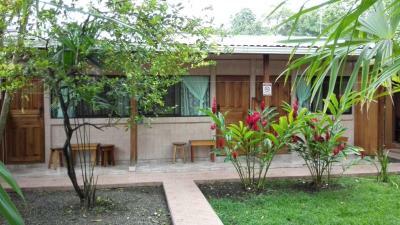 The Cabinas are in a quiet location but only 5 minutes walk to the main street. Some rooms have 6 beds so ideal for families. Amazing value for money. Would highly recommend. The room was kept clean every day. Bed, pillows and linen were very comfortable. I booked a single room but they put me in a room with a double bed, which was great. It is pretty close to town center, which I thought was better than staying at the beach. Very quite place. For me, it was better to stay at this private room than to book a bed in a hostel dorm. We booked a night here with a little trepidation in view of the really low price but were pleasantly surprised. The room is a little basic, we were glad we brought our own mosquito nets and while the staff were nice they weren't particularly forthcoming with useful information. However the place was clean with rooms surrounding a quiet courtyard area in a good location 2 blocks off the main street. Fan did the trick at night. And of course fantastic value. If you're on a budget or fancy a break from dorms then here's your place! 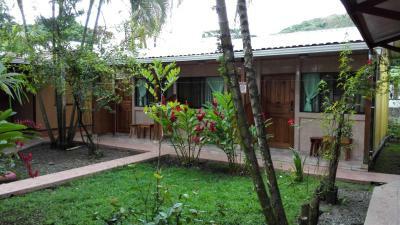 Friendly owners, good location, and basic but clean rooms. La atención de su gente ha sido EXCELENTE y se ha sentido como estar en familia. Merece el estar en un sitio así! Gracias por la estancia y mantengan ese calor y limpieza del lugar! Unterkunft ist einfach aber sehr sauber. Personal freundlich und für 23€ die Nacht einfach top. Zimmer sauber, kein Luxus, aber für das Geld wirklich in Ordnung. Nachts wurde die Anlage sogar bewacht. Meine Sachen konnte ich Vertrauens voll im Zimmer liegen lassen. 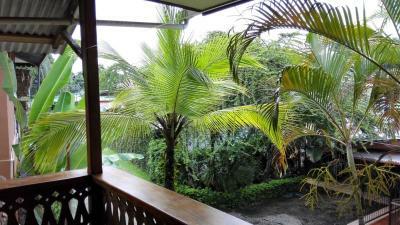 Facing the beachfront in Puerto Viejo, Cabinas Popular has a garden. The property is set 2.7 miles from Jaguar Rescue Center. 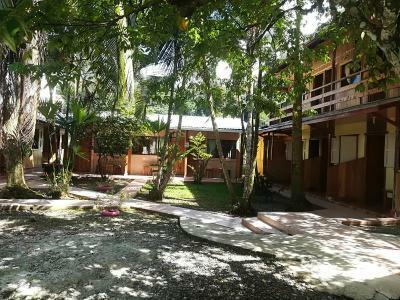 The property is 1.6 miles from Cocles and 1.8 miles from Negra. All units in the japanese-style business hotel are fitted with a TV. All rooms feature a desk. 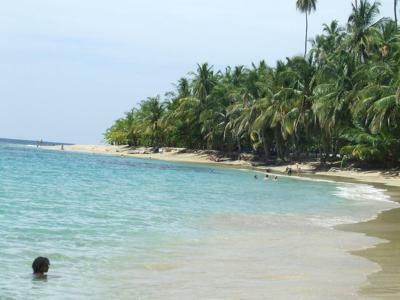 Playa Cocles is 2.2 miles from Cabinas Popular, while Chiquita is 3.7 miles away. Cabinas Popular has been welcoming Booking.com guests since 16 Feb 2018. When would you like to stay at Cabinas Popular? House rules Cabinas Popular takes special requests - add in the next step! Cabinas Popular accepts these cards and reserves the right to temporarily hold an amount prior to arrival. Wifi was in and out a little but it was raining pretty bad and windy. Beds weren't horrible but could be better. Room was clean, staff was friendly, location was great. The internet was weak. Also there was poor plumbing in that the water pressure and force was not enough. The light in the room and bathroom was very weak/dull. This place was EXTREMELY clean. I loved how clean it was and they clean every day. The lady was very nice. There were high ceilings and the fan helped make it pleasant at night and during the day. Unfortunately I had no hot water...but I was upgraded to a bigger cabina so I did not complain. You just have to get creative. Cabinas Popular is quiet and away from the noise. The staff is excellent and is there if you need anything, and respects when you want to be left alone. My Cabina was nice and big with a private bath and working refrigerator. Really nice for 7 days.